BEST VALUE ON THE MARKET! Price-reduced for the holidays. 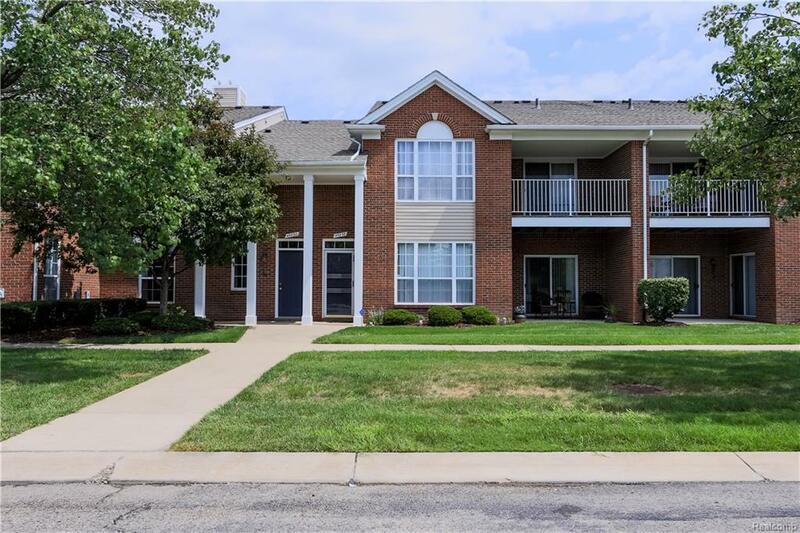 Stylish, spacious ranch style condo with first floor, open split plan layout, hickory wood style floors and stone fireplace.Two large bedrooms with walk in closets.New roof with 25 year warranty. New furnace, AC, water heater, appliances provide worry free, move in ready accommodations.Price includes all appliances and free water.Directly across from swimming pool, clubhouse and fitness center.Can tailor occupancy to suit buyer. IDX provided courtesy of Realcomp II Ltd., via Bankers Choice Realty and Realcomp, ©2019 Realcomp II Ltd. Shareholders.